For the first time a complete coverage of the wonderful dolls of Spain starting with Copper Age doll to the most modern being produced today. Religious figures considered dolls in Spain are also included. Many of the dolls pictured have been lost through the years since they were photographed. Interesting history and reading as well as fascinating photographs. 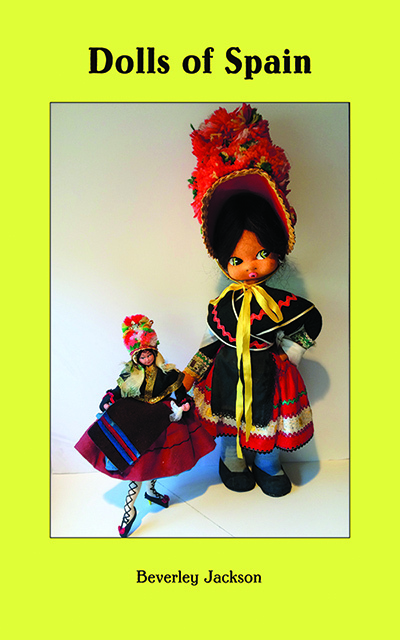 Beverley has collected dolls since she was seven years old and has a major collection of international dolls specializing in dolls from Spain and China. Her research on dolls of Spain and photographing of them began in 1968 before many collections were broken up or destroyed in floods or fires.